Skye Kwok, Owner of Eat Noodle. BRIDGEPORT — As downtown continues to welcome restaurants, the latest addition to the Bijou Square is serving up hot ramen and noodle soups in minutes. Easton resident Skye Kwok opened Eat Noodle in downtown Bridgeport on Jan. 8 at 269 Fairfield Ave. The eatery opened in the space that once housed Can Tiin, which closed last summer. A former Bridgeport resident, Kwok said the area has changed since his days growing up in the Park City. As residential development and the office market has grown over the years, he said a community vibe has developed that he felt his restaurant could thrive in. 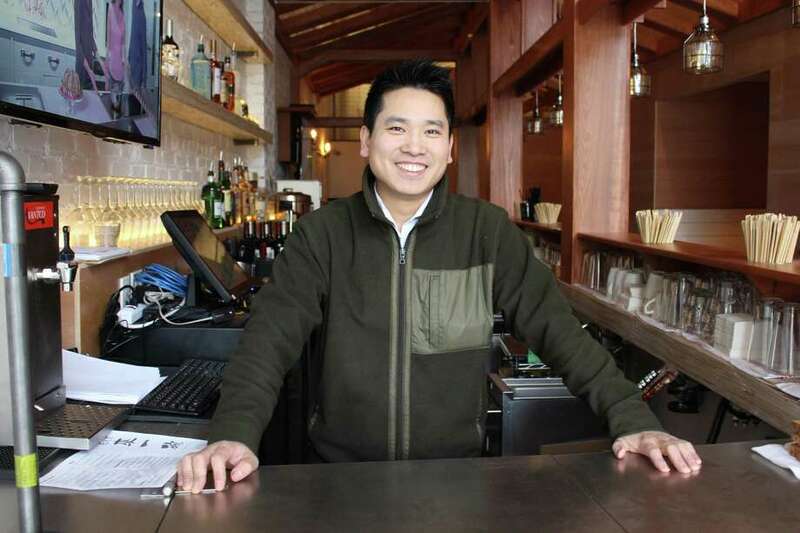 Kwok began working in the restaurant industry 22 years ago, after attending Sacred Heart University, and has since opened restaurants in other parts of Fairfield County. He also owns Sweet Basil in Fairfield and Pink Sumo Sushi & Sake Cafe in Westport. According to the business owner, he wanted to bring his own spin on the growing noodle soup market to the city, with options like pho, ramen and specialty items like curry soup. The Eat Noodle space has also previously housed Bare Tapas & Vino and Café Roma. Like his other restaurants, Kwok said he opted to open Eat Noodle in a smaller space where customers can get a quick bite during their lunch break. In his first week, the Easton resident said his staff cut their customers’ wait time from a half-hour to within 10 minutes. The goal in coming weeks is to cut that time in half, as well, Kwok said. While he wants the new business to thrive, Kwok said his goal goes beyond financial success. “I do want to make money fast, but my biggest interest is I want to see the downtown Bridgeport (area) grow,” he said, adding that he’d like to see more opportunities for people to shop along with dining out. While this is his first restaurant in Bridgeport, Kwok said he wants — if business is good — to expand and open more lunch-style spots in the city with different themes. But first he wants to create a positive community feel around Eat Noodle. Eat Noodle is open Monday through Wednesday from 11 a.m. to 9 p.m.; Thursday through Friday from 11 a.m. to 10 p.m. and Saturdays from 3 to 10 p.m.